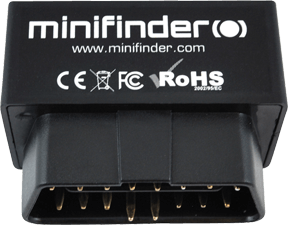 MiniFinder Zepto - smallest OBDII GPS tracker in the world. Zepto GPS Tracker GSE OBD2 is our latest GPS Tracker for the easy connection through the vehicle's OBD socket. 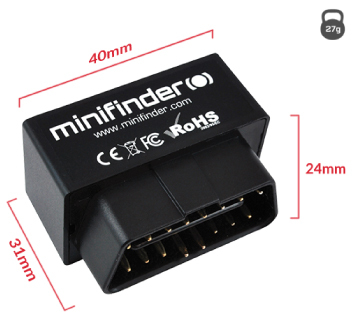 This GPS tracker is suitable for all vehicles that have an OBD2 port. Both passenger cars manufactured from 2001 onwards and diesel cars from 2004 support the OBD connector. The socket is usually located in the cab (usually somewhere under the steering wheel). GSE OBD2 plug and play GPS transmitter are easy to install. There is no need for knowledge in electronics or cables for connecting Zepto to the vehicle. 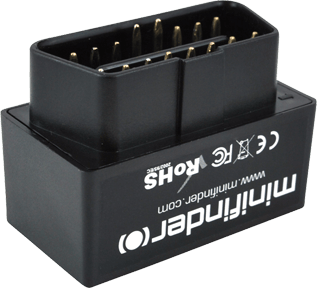 Simply "plugging in" the GPS transmitter in OBD2 socket and you are done with the installation. Besides private use in order to prevent vehicle theft, this device is also popular among companies in order to develop electronic driver’s log and real-time monitoring of vehicles. Zepto is the world’s smallest GPS Tracker for vehicles. 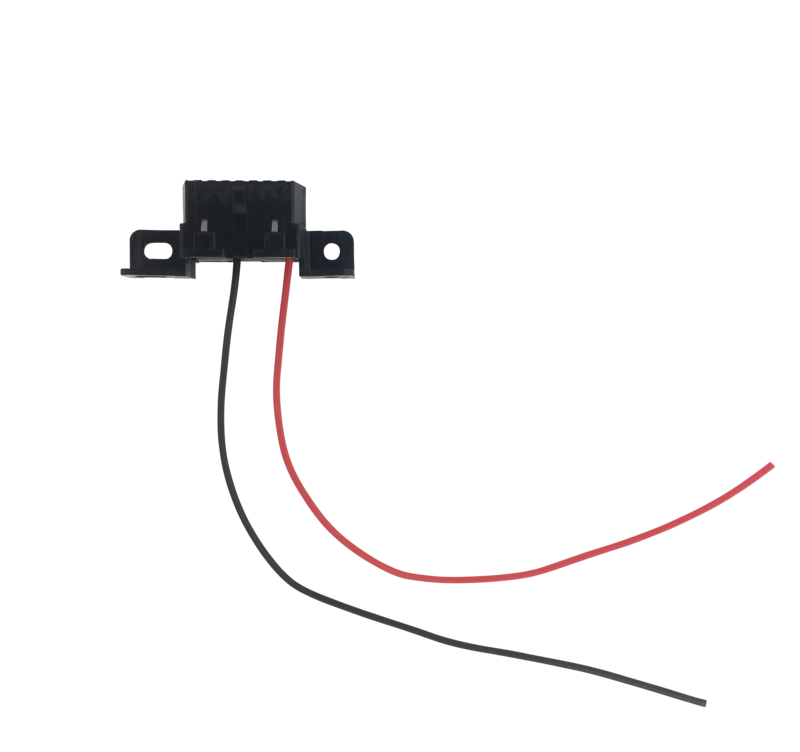 The device can be directly connected to 9V-36V battery, so there is a broad range of applications where this tiny GPS device can be attached to. Besides private use, this device is also popular among companies in order to develop electronic driver log and real-time monitoring of vehicles. Set a speed limit to get information if one or more of your vehicles exceed the speed limit. You can also print out statistics and statements. The unit can be set to send an alarm if an unauthorised person tries to remove it. The alarm is sent in the form of a push notification to a phone or via e-mail. With Zepto GPS tracker, you get a fully automated digital driver’s log that is approved by the tax office. Get your vehicle's position in real time on the map. The unit supports all GSM network in the world. View vehicle's history on the map based on date and time. Define a safe zone in the APP and you are ready to receive an alarm when Zepto leaves the GeoFence. The adapter makes it easy to connect your MiniFinder Zepto to 9V-36V battery. Practical OBD extension cord for easier mounting on the eg dashboard for your OBD GPS Tracker. 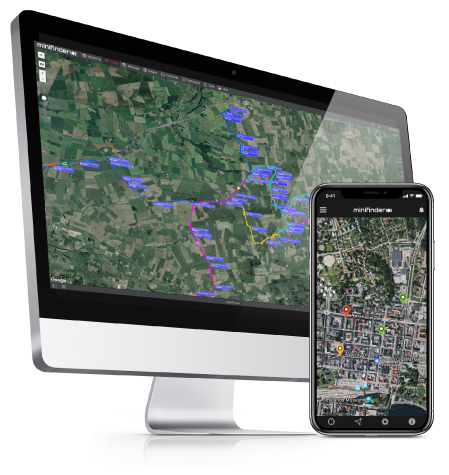 MiniFinder GO is the software that takes care of all incoming sensors and data from MiniFinder® products, which are then presented in a clear way in the form of a map. The platform consists of three different systems: alarm system, report system and real-time tracking system. The system also supports external calls and integration with third-party systems through APIs.